The present building was built between 1962 and 1964, "to a futuristic design by Potter and Hare". E.W.H. Gifford and Partners were structural engineers in conjunction with the Faculty of Engineering at Southampton University. 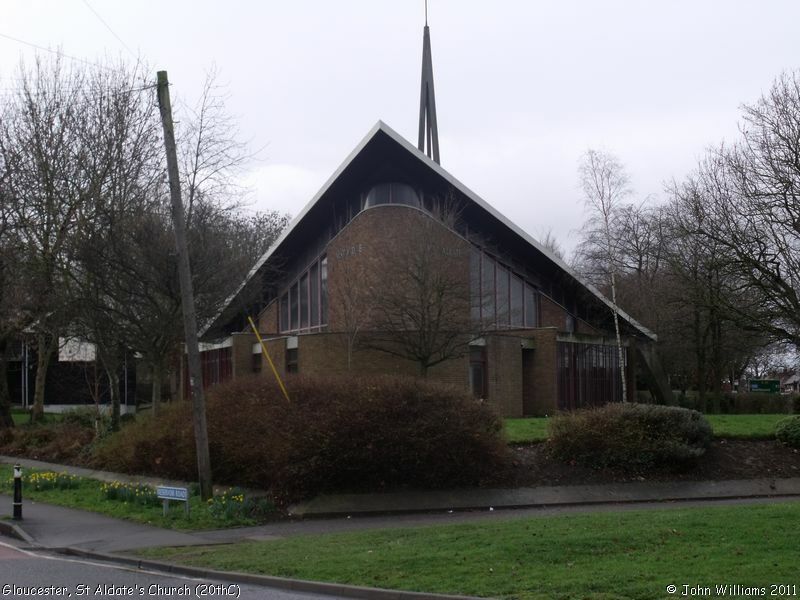 The church has an amazing "hyperbolic paraboloid" roof, and because of its distinctive shape has on occasion been known locally as the 'ski slope' church. The original St Aldate's Church in the city centre, dating from Saxon times was demolished in 1653, then rebuilt in the eighteenth century. However it was declared redundant in 1927, and the profits from its sale were used to form a new parish on the outskirts, where new housing was being built. 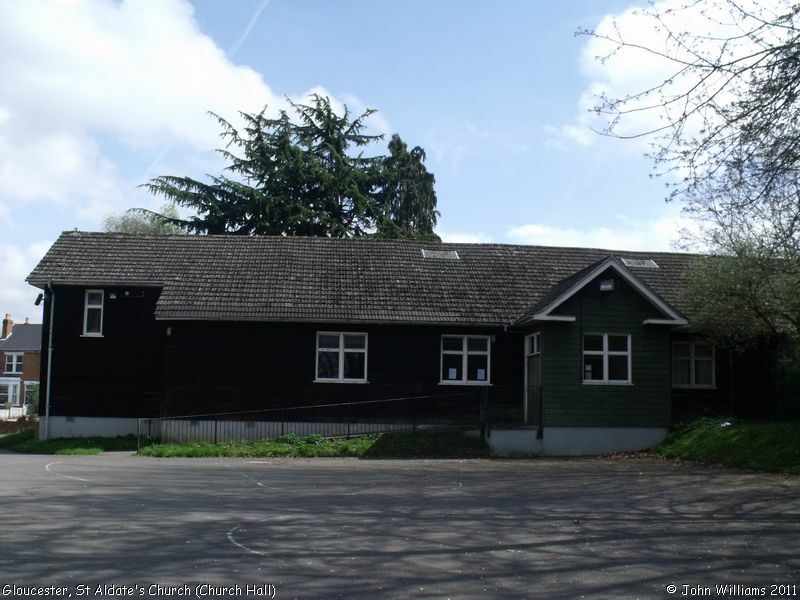 A temporary building made of timber was erected in 1928 for worshippers, but it wasn't until 1958 that it was decided to build a new church, when additional finance became available through a bequest. St Aldate's Church (20thC), Gloucester shown on a Google Map. Information last updated on 8 Nov 2018 at 17:02. Please also remember that whilst the above account may suggest that St Aldate's Church (20thC) remains open and accessible, this may not remain so. This Report was created 5 Apr 2019 - 16:01:11 BST from information held in the Gloucestershire section of the Places of Worship Database. This was last updated on 7 Feb 2019 at 07:45.